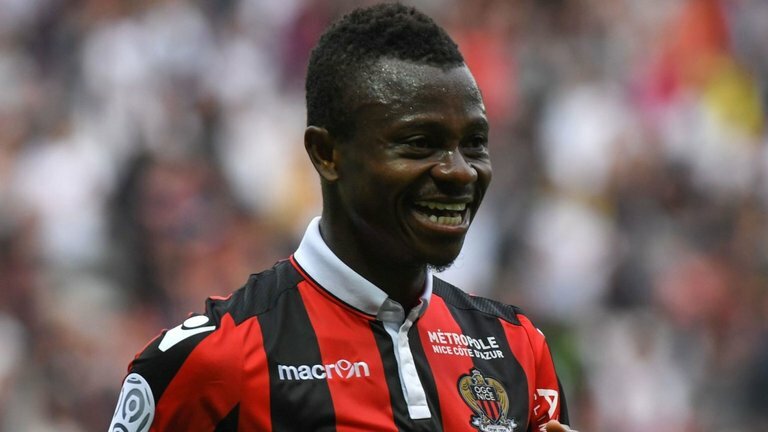 Arsenal, Napoli and Manchester United are the top three clubs vying for Nice star player Jean-Michael Seri as they want to bring an improvement to their respective display at the middle of the pitch during the 2018-19 season. Manchester United manager were the earliest club who showed their desire to lure the Ivorian to the Theater of Dreams but they failed to make offers that are good enough to make the Ligue 1 side sanction his move out of the team. Reports that broke out earlier this month confirmed that Arsenal and Serie A giants Napoli have both joined in the race to capture his services. However, Seri’s agent Franklin Mala has debunked the rumors linking his client to the Napolitano Stadium this summer. According to the agent while speaking with Radio CRC, Napoli is not an option for Seri as he’s yet to receive any official bid from the Serie A club, who finished second behind Juventus in the league table last season. Mala revealed that new Napoli manager Carlo Ancelotti is interested in Fabian Ruiz, whose presence could affect Seri’s Playing-time should he join the Naples in the summer. With Mala’s revelation, the Gunners now have Manchester United to contend with before they capture his services. Meanwhile, Mourinho could pull out of the race in the summer, according to reports. The Portuguese manager has already signed Brazilian midfielder Fred from Shakhtar Donetsk.